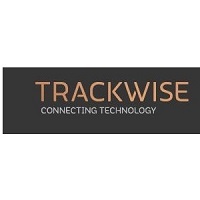 Trackwise Designs LTD (LON:TWD) CFO Mark Hodgkins talks to DirectorsTalk about interim results for the year ended 30th June 2018. Mark updates us on the progress of Trackwise, the work with a Tier 1 aerospace client, continued investment in technological development, the benefits of the vertical plating line and looking forward what we can expect for the remainder of the year and beyond. Trackwise Designs Ltd is an established business that manufactures specialist products using printed circuit technology. The Company consists of two divisions Radio Frequency (“RF”) and Improved Harness Technology (“IHT”). The IHT division utilises the Company’s unique proprietary technology, a patented process that Trackwise has developed to manufacture unlimited length multilayer flexible printed circuits. The Directors believe that the technology has many applications but believe one of its primary uses could be to replace traditional wire harness used in a variety of industries.